AMSTERDAM – DiGiCo announced several new products at ISE 2019 including the expansion of the DMI-AMM (Automatic Mic Mixing) card onto DMI enabled SD-Range consoles, the A3232 DMI for S-Series and the initial steps of the planned integration of KLANG:technologies immersive in-ear mixing into the SD-Range. The company is exhibiting at Stand 7-K200 at ISE 2019 from Feb. 5-8. 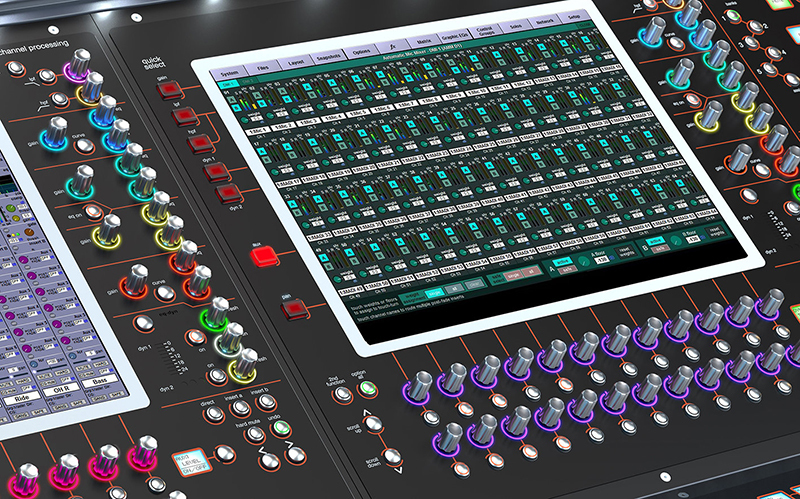 In both the SD7 Quantum and SD12 consoles, the DMI-AMM offers 64 channels of processing, which can be used in any console input channel. There are two independent AMMs implemented by the DMI-AMM, known as AMM-A and AMM-B, with channels assigned to either A or B or neither. This means that two separate events can run simultaneously on the same console without one interfering with the other. The A3232 DMI card from the 4REA4 Range is now incorporated into the S-Series consoles. This I/O expansion allows for the 4REA4 I/O to be directly connected to the S-Series, widening the I/O possibilities. As part of this upgrade a newly launched S21-Stage48 and S31-Stage48 system are being offered with 48 Mic inputs from stage via three 168 Stage racks.